THE “devastated” owners of a Dublin pub at the centre of a salmonella outbreak probe have defended the catering company that runs their now-closed restaurant. 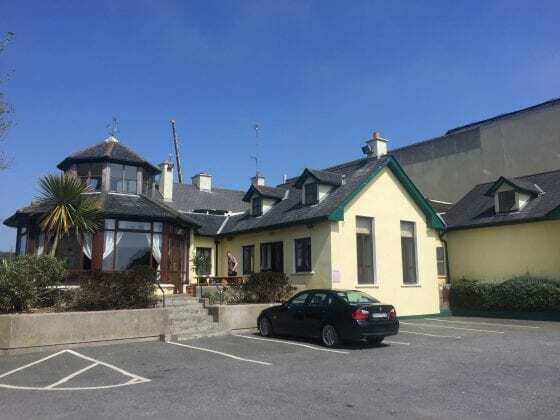 Publican Gerry O’Dwyer said staff at the Golf Links Inn in Portmarnock were still in shock after the tragic death of a woman in her 50s was linked to the family-run pub. Flanreil Food Services Ltd, which operates the kitchens at the pub, had prepared food for a First Holy Communion party in a house in north County Dublin on Saturday May 13, after which a number of family members fell seriously ill.
On learning that people at the house party had suffered food poisoning, caterer Ciaran Flanagan called the HSE out, which led to the Food Safety Authority issuing a closure order on the pub’s kitchens on Friday. Two days later, on Sunday last, one of the people who had become sick, mother of one Sandra O’Brien, sadly died at her Swords home. 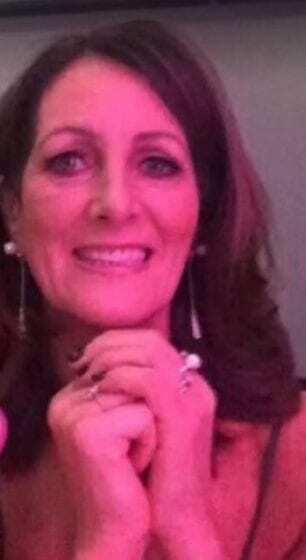 Sandra, whose funeral took place in River Valley this morning, has been described as a “fitness fanatic” who was a keen jogger and gaelic footballer. 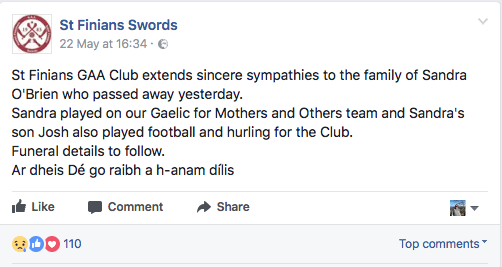 Her GAA club, St Finians in Swords, paid tribute to her on Facebook, posting on Monday: “St Finians GAA Club extends sincere sympathies to the family of Sandra O’Brien who passed away yesterday. “Sandra played on our Gaelic for Mothers and Others team and Sandra’s son Josh also played football and hurling for the Club. Sandra’s running group Sloggers to Joggers also posted an online tribute, saying on Facebook: “Sloggers 2 joggers is so much more then a running group, we are a family, we are sisters. “That old saying ‘you don’t choose your family’ it doesn’t apply to us – we all chose to be a slogger, we all chose this family. “It is with heart breaking regret that I write this post to say we have lost a sister. “Sandra you will always be a slogger and we will always be your family. The FSA and the HSE have confirmed that they are conducting a joint investigation into the suspected food poisoning outbreak. A spokesperson for the watchdog said: “The Food Safety Authority of Ireland is liaising with the Health Service Executive regarding an investigation into a recent food poisoning outbreak due to salmonella in north Dublin. Mr O’Dwyer said Mr Flanagan and his team are “as fastidious about food safety as they are about the quality of food” they prepare for the pub’s customers. He also hit out at “just plain wrong” social media reports claiming that people had got food poisoning from eating in the pub. Mr O’Dwyer said: “Our caterers Ciaran and Rory [Reilly] are just devastated at what has happened, as are their staff. We all are. “A poor lady has died suddenly and it’s just horrible. My mother has been unable to sleep thinking of her. “But there have been a lot of things said in the media, especially on social media, in the past few days that are just plain wrong. “For one, there have been reports that people took ill after a Communion party was held here in the pub. That is completely untrue. “The food was prepared here for outside catering. The Communion party where people sadly took ill happened at a family home the other side of Swords. “Nobody who ate here at the pub has fallen ill – neither before nor since this awful tragedy happened – and our customers have been inundating us with messages of support. “As I say, we’re all absolutely devastated for the family of the poor lady who has died. However, we still don’t know what happened. “What I can tell you is that once Ciaran was informed that people who were at the party had got sick, he immediately called the HSE and asked them to come out to the kitchens. “They came out on the Friday and began their investigation. Then that evening, they came back in at around 8:30 and closed the restaurant down. Locals in Portmarnock said they couldn’t believe what had happened. Graham Skelly said he had gone to the pub to meet pals last Friday when it was announced the restaurant was closed. He told The Gazette: “We couldn’t believe it. Everyone was just shocked. The food here is excellent since Ciaran and the lads took over the restaurant. “They often bring down free platters for the regulars in the pub when there’s a big GAA match on or when Ireland are playing, and it’s always of the highest quality. “Not only that, they’ve transformed the place. The restaurant is packed seven days a week, and I eat here all the time because it’s superb. 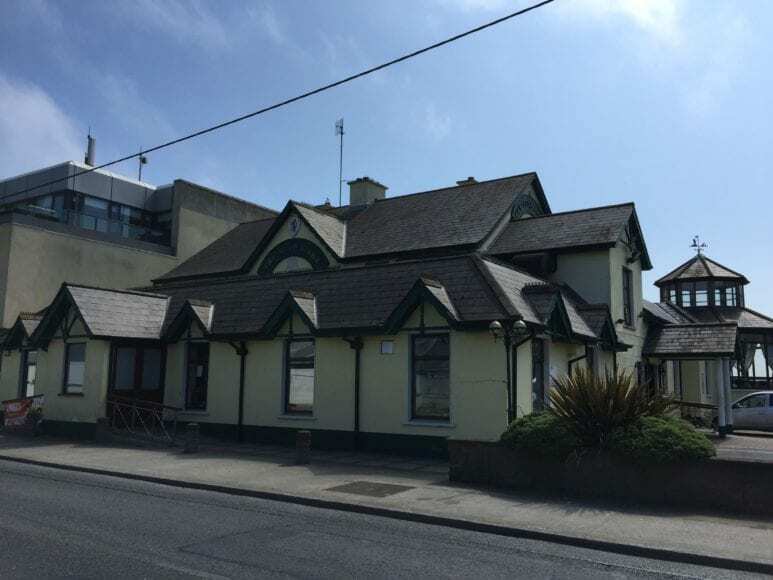 Another Portmarnock local who asked not to be named praised the caterers for their charity work and hit out at rumours circulating on social media. She told The Gazette: “It’s just so sad what has happened. I feel awful for the woman who has died, and I do feel awful for Ciaran up at the pub. He employs so many locals here, and as anyone in the village will tell you, his staff love him. “My late husband was a chef, and I can tell you with absolute confidence that when it comes to health and safety, Ciaran is as clean as they come. “Which is why all the rumours floating around are all the more frustrating to listen to. I’ve had phone calls from people asking if I was OK just because they know I like to eat in the pub and they read something about it on Facebook. And I’ve told them if the restaurant was opened up again tomorrow, I’d be the first one in the door. 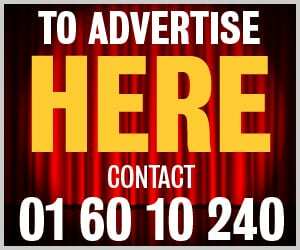 “Ciaran is such a decent, kind man, and his staff are fantastic. “They’re forever hosting charity fundraisers and coffee mornings and he even brings food in to town to feed the homeless – and it’s not leftover food, it’s fresh food he has prepared especially for them, because he’s the sort that cares about people.